Face it. You stink. To a white-tailed deer, you're the olfactory equivalent of decaying fish innards, skunk spray and chicken manure. And don't ever forget it, especially when it comes to hanging treestands. So, knowing you're the sultan of smell, are you making the following mistakes when it comes to positioning your stands? If so, Craig Dougherty, executive director of the National Deer Alliance, has the following tips to help make sure you don't stink up the joint. OK. We get it. Your boss sent you on an unexpected business trip. The transmission went out in your pickup truck. And on top of that, college football season started. So you hung your treestands a few weeks before the opening of deer season. What's the problem with that? "Mature deer will know you've hung that stand. The area will smell different, even the branches you cut will have a different odor, and those mature bucks will know something is just not right," Dougherty said. The solution? 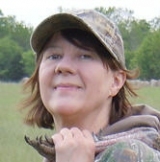 Dougherty recommends that you hang deer stands two or three months before the season opens. If you're hunting public land and can't hang a stand that early, at least locate your site and do any trimming (where legal) then so your entry is as low impact as possible. Your weather app says the wind is coming out of the west, but hills, valleys and other features can affect wind direction. The Solution? Don't put all your trust in a weather app. Make sure you ground truth wind direction where your stand is located. Use wind floaters or wind powder like Dead Down Wind e2 Boot & Storage Powder to give you a truer reading. Also, don't forget to consider what the wind is doing at the elevation your stand is at because it can vary from what's happening on the ground. Moving your stand a few feet up or down can make all the difference in the world. If you don't map out a hassle free entry, you can end up making a ton of noise going to your stand, not to mention the scent signals you'll be sending along the way. It doesn't take a rocket scientist whitetail to understand that commotion plus stench means bad, bad things can happen. The Solution? Be meticulous about scouting. Be one with the whitetail. Know where they feed and where they chill and plan approaches to your stand that take those factors into account. Nail down parking options and routes you can take that will prevent the wind from sending your stinky calling card to bedding areas so you can infiltrate your stand with the stealth of a Ninja. Take these tips to heart and increase the odds that you'll be the one telling big buck stories around the campfire.